BENGALURU: For all those who think homeopathy is just placebo, here is new research that debunks that and upholds the effectiveness of the branch of medicine. The study reveals that homeopathy medicine contains nano particles of the resource medicine even in its highest diluted form. The two-year research was done by homeopathy practitioner Dr ES Rajendran, director of Vinayaka Mission Homoeopathic Medical College at the nanotechnology lab in IISc, Bengaluru. The medicines prepared by plant sources and organic substances were studied in the lab, and nano particles of vegetable charcoal were found in the tested homeopathy medicines. 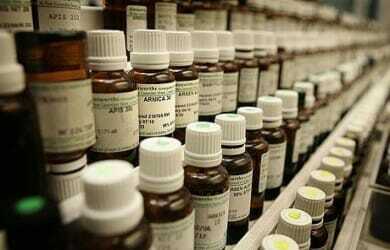 “This is a breakthrough and may open up vistas for advanced research in homeopathy. The study will be presented at the upcoming world homeopathy summit in Mumbai,” said Rajendran at an event organized by the Global Homoeopathy Foundation on Thursday. The highly diluted form of homeopathy medicine used as pain relief was put on silicon vapour and left for drying for a day. “I began the study in 2013. It has been a thrilling journey, especially when nano particles of vegetable charcoal were found in the medicines we tested,” Rajendran said. Why these old homeopaths are always frustrated too much like ” Chandran Nambiar ” 🙂 learn to backup & cheers someone for their dedication . 3. Did you use plain mixtures of water ethyl alcohol as controls, as it is common knowledge that any sample of water and alcohol may contain ‘nanoparticles’ of elements and other natural contaminants? 5. Did you filter out the detected ‘nanoparticles’ from your samples after experiments, and use those ‘nanoparticles’ as similimum in the patients to ensure that those ‘nanoparticles’ are the real active principles of ‘ultra high dilutions’? 6. Did you think about the molecular level biological mechanism by which these nanoparticles said to be present actually act up on the human organism and produce a therapeutic effect according to the principle ‘similia similibus curentur’? 8. Did you ever think how the ‘traces of nanoparticles floating in upper layers’ of ultra dilutions could be present in each and every drops of our drugs, as we know from experiences that not only the ‘upper layers’ but even the last drop is therapeutically effective? Kindly consider these questions with a rational and scientific mindset. Such a study was done by IIT-B team years back. Nothing new in it. Now it is an easy job for any fame-seeking homeopath to come into the limelight as a ‘scientist’ or ‘researcher’, and ‘publish a paper’ for ‘debunking the allegations against homeopathy’, by merely spending Rs 5000! IIT-Bombay and IISc Bangalore is leasing out their research facilities to anybody who want to use their ‘nanotechnology’ research lab. Are you aware, you can detect some ‘traces’ of nanoparticles in any sample of alcohol or water when examined under ‘Field Emission Scanning Microscope’ or ‘Energy Dispersive Spectrometry’, even without any potentization? Did you ensure that the ‘samples’ of ultra dilutions you used for the experiments were genuinely potentized to ‘ulltra level’, as most manufactures market very low potencies in the label of ultra high potencies? Did you verify whether the ‘samples’ lose their medicinal properties after the ‘nanoparticles’ were completely filtered out and removed from them? 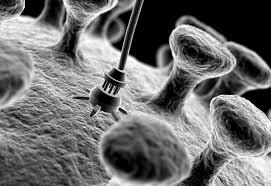 It is very important to prove that those ‘nanoparticles’ are the real active principles of potentized drugs. Did you prove that the ‘traces of nanoparticles’ you ‘detected in your samples are the real ACTIVE PRINCIPLES of homeopathic drugs? Did you explain anything regarding the BIOLOGICAL MECHANISM by which the ‘nanoparticles’ produce the therapeutic effects according to ‘Similia Similibus Curentur’?